It probably is not surprising that three high-powered politically influential women, Jackie Kennedy Onassis, Pamela Harriman and Madeleine Albright, once called Loudoun County home. 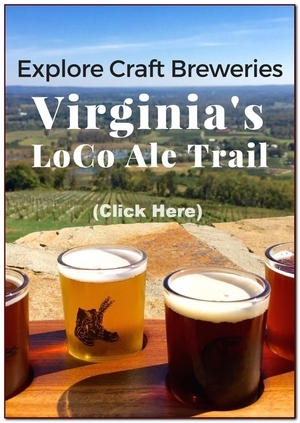 Only an hour west of Washington, DC, some might call the area an elite enclave - the county regularly ranks among the top 10 highest-income places in the US - but dig deeper and you’ll find Loudoun offers history, authenticity, and warm hospitality. Loudoun was named for Commander-in-Chief of British and Colonial forces, John Campbell, the fourth Earl of Loudoun, and was granted county status in 1757 during the French and Indian War. Leesburg, founded in 1758, became the county seat, with the first courthouse built in the center of town in 1761. Loudoun County has more horses than in any other county in Virginia. At the heart of this equestrian paradise is Middleburg. 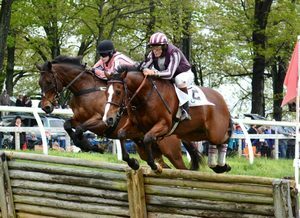 Horses and hounds hold pride of place here, along with the shops, boutiques and restaurants that cater to the horsey set. The National Sporting Library & Museum documents it all. This research library and art museum is a treasure trove of art and literature on American horse culture and field sports. 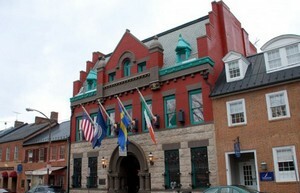 Loudoun boasts 88 properties and districts on the National Register, including six National Historic Landmarks. 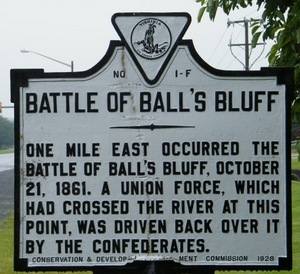 The Loudoun portion of the Civil War Trail traces a path that includes the Battle of Ball’s Bluff, Morven Park - a winter bivouac for Confederate soldiers, and Mt. Zion Baptist Church in Gordon’s Corner. Colonel Mosby’s Confederate soldiers and Major Forbes’ Union troops saw action here at the Battle of Aldie. The War of 1812 also touched Loudoun. Fleeing the carnage in Washington, DC, Loudoun’s county clerk hid important documents, including both the Constitution and the Declaration of Independence, in the vault of a private home, Rokeby, outside of Leesburg. The mansion eventually came under ownership of philanthropist Paul Mellon (who also raised Thoroughbred horses while living in Loudoun). Now a national historic site, the home is open on special occasions throughout the year. To learn more about Loudoun’s 250 years worth of history, visit the Loudoun Museum in Leesburg. Loudoun today is a seat of high tech and the modern service industry whose rural roots are still much in evidence. The Quaker settlement of Waterford is a restored historic village and a National Historic Landmark. Stone buildings throughout the county show the Quaker influence, while early German settlers favored log cabins. The Loudoun Heritage Farm Museum features interactive and traditional exhibits that highlight the area’s agricultural heritage. Oatlands Historic House and Garden is a showcase Southern plantation dependent upon its enslaved community. In 1860,133 men, women, and children served here. Now a National Historic Landmark, you can tour the mansion, the gardens, and learn more about the men and women who worked the plantation, via guided tour. Dating to 1780, the mansion at Morven Park was owned by the Swann family for 100 years. Here you can view 16th century Flemish tapestries, Asian arts, art nouveau pieces, and family’s silver and china. Marshall House in downtown Leesburg was the home of General George C. Marshall, World War II hero, Special Ambassador to China, Secretary of State, Secretary of Defense, and Nobel Peace Laureate. The home features 19th-century architecture and has kept the mid-century details that were current when George and Katherine Marshall resided here. Be sure to see Katherine’s renowned rose garden. Loudoun is DC’s Wine Country. In the last two decades, the number of wineries has grown from six to more than 40. That number is augmented by the growing number of cideries, breweries and distilleries. Each winery has its specific mood and ambience, ranging from restored 19th century barns to purpose-built facilities that evoke high-end resorts and everything in between. The drive to Greenhill Winery shows off the best of Virginia horse country: rambling old stone and timber houses, towering Dutch barns, rolling hills and wood fences. Greenhill grows mostly vitis vinifera on 35 acres and offers tastings in a charming 19th century former tobacco packing barn. Maggie Malick's Wine Caves is distinctive for its man-made "cut and cover" cave-style tasting room. Mark Malick is the amiable face of the winery in the tasting room, and Maggie oversees the winemaking. On 20 acres of vineyards, the winery grows all of the grapes that go into its wines, and also sells fruit to other wineries. 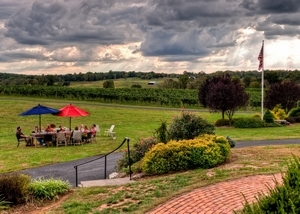 Tarara Winery is one of the big guns in Northern Virginia wineries, with some of the oldest chardonnay, merlot, cabernet sauvignon and cabernet franc planted in Virginia. Winemaker Jordan Harris was featured in Wine Enthusiast Magazine's 2013 "40 Under 40 Tastemakers Issue" based on his stellar record: he made three of the first seven Virginia wines ever to be rated 90 points by the magazine. There's plenty of craft beer and spirits, too. In addition to world-class wines, you can find tempting cuisine, educational seminars, and hands-on experiences from blending your own wine to painting classes and murder mysteries that involve the whole audience. Wedding venues - for the ceremony and the reception afterwards - abound. Entertainment in Loudoun includes numerous theatrical performances and a variety of music venues. 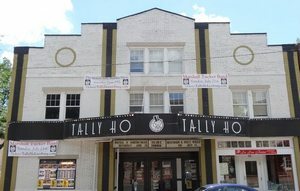 Tally Ho Theatre in Leesburg was recently renovated and features live music, comedy shows, theater and more. Run Rabbit Run Theatre is based in Leesburg but performs at various venues throughout the county as well as at the Capital Fringe Festival in Washington DC. An old dairy barn in Purcellville has been transformed into the Franklin Park Performing & Visual Arts Center. Offerings include music, art, dance and theatre. Classical music performed by Loudoun Symphony Orchestra can be heard at various venues throughout the county. Their repertoire encompasses full orchestral works, intimate chamber concerts, and educational programs. The season consists of five orchestral concerts and a series of chamber music as well. Any sport you can think of - baseball, basketball, volleyball, disc golf, ice skating, hockey, paintball, soccer, lacrosse, football, softball, tennis - can be played and/or spectated in Loudoun. There are 35 sports facilities here, including championship golf courses designed by Greg Norman and Gary Player. Seek out the county’s discounts and coupons available to sports tournament attendees for bargains on dining, shopping and other attractions. From bakeries to barbecue, from Mediterranean to Mexican, seafood, American and Continental cuisine can be found in Loudoun. 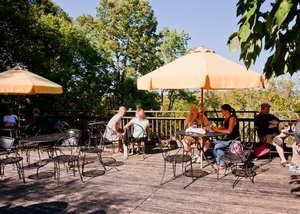 Farm-to-table restaurants, wine bars, coffee houses, and delis abound. For an upscale dining experience, the patio at the popular farm-to-table Grandale Restaurant at 868 Estate Vineyards is the place to be on warm summer evenings. No matter where you sit, your view is framed like a photograph. 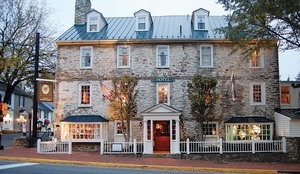 Dating to 1728, the Red Fox Inn & Tavern in Middleburg is the oldest continually operated inn in the US. The menu features local ingredients simply prepared, home-style cooking using time-honored techniques like smoking, braising, and roasting. In Leesburg, a 19th century grain mill has been transformed into “Tuskie’s”, Tuscarora Mill Restaurant. Known for its authentically local vibe, the restaurant offers a gluten-free menu and stays in touch with local suppliers by hosting an annual luncheon to evaluate the harvest and plan for the year ahead. 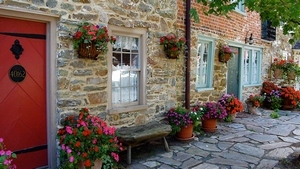 Upscale resorts, homey b&b’s and cottages, and name brand hotels make staying over in Loudoun easy. Covering 476 acres along the Potomac River, Leesburg’s Lansdowne Resort and Spa offers excellent service grounded in down-to-earth hospitality. Middleburg’s Goodstone Inn & Restaurant is much smaller in scale - with only 18 romantic guest rooms and suites - yet exudes an elegant ambiance lent by its English and French Country décor. Hike or bike the property, or simply stroll in the gardens of the 265 acre estate. 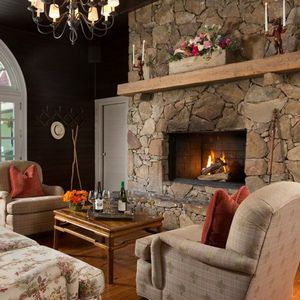 If seeking a more casual, homey experience, try Briar Patch Bed and Breakfast Inn overlooking Bull Run Mountain in Middleburg. Barbecue by the pool, enjoy the hot tub, and by all means, bring your pets.